Remember, if you want to race 2WD and 4WD 1/10th this is considered 2 classes, so you must sign up for both. 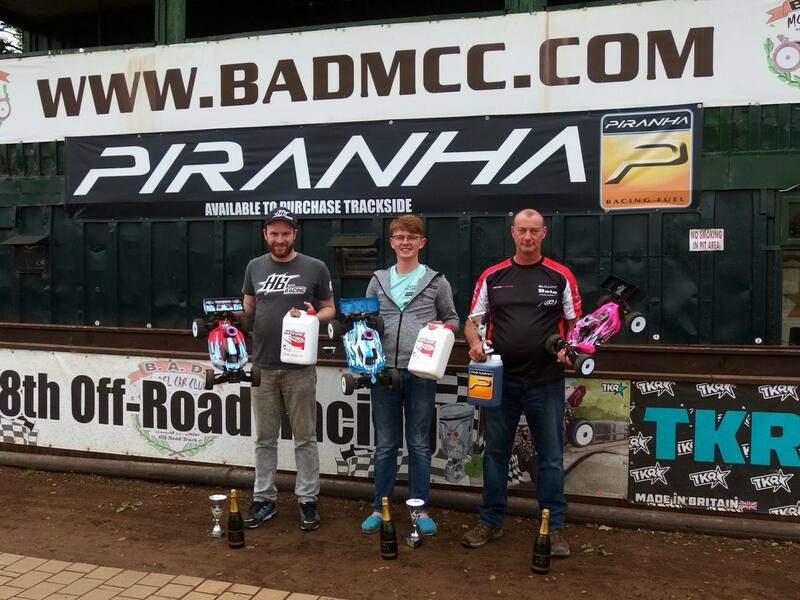 RCCAOI Rnd 3 Race Report. Round three was changed from Monaghan RC Raceway to Badmcc, due the unfortunate closure of the Monaghan track. A planning issue had put paid to the development there, so Badmcc stepped in to host the event instead. The Saturday practice went very well for those who chose to get a head start on their setup. The sugar was laid down just before the track opened, keeping down the dust and improving the grip even further. The weather was perfect so there was a lot of rubber burned before 5pm. Overnight showers meant that the track was damp and slippery for the open practice on Sunday morning, so after a track inspection at 9:30am, it was decided to shorten the track down to the all-weather sections, as it was too slippery and dangerous for marshals on the dirt sections. The heats got off to a good start, and by the end of the first round the Sun had come out, the track had dried off, and the grip was extremely high on the mostly brick and astro surface. The cars and wheels were tested to the maximum with some tires coming unglued and breakages were high. Still the driving standard was also high and there were no surprises when the finals were posted. 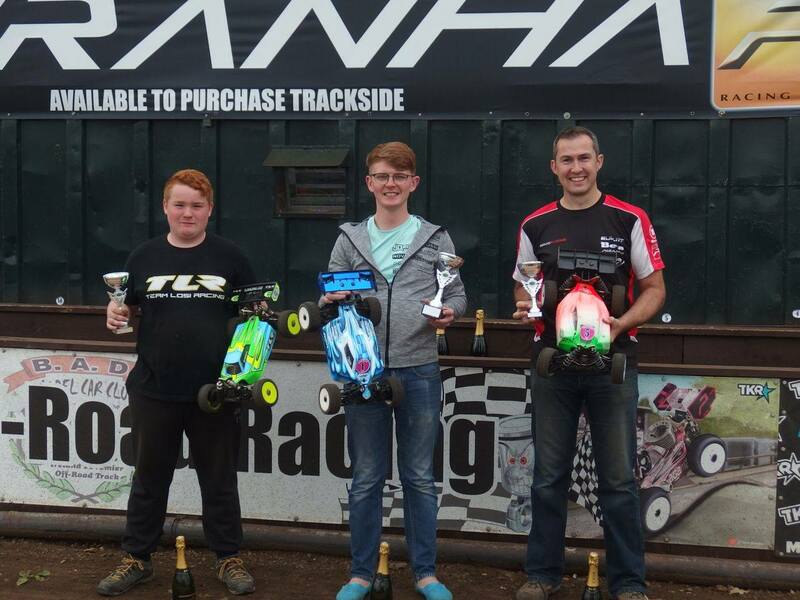 Bradley Baird was TQ on both classes, so took pole position in both finals. The weekend went off without a hitch, except for a computer glitch in the heats meant that one heat had to be abandoned and re started, but the ever vigilant Richard Quigley had it under control in no time. The feedback among the drivers was that the club had once again knocked it put of the park in hosting this round.